The truffle pig variety have been known to lead to the discovery of treasure but the white lipped peccaries led scientist to discover works of art that were 10,000 years old. They discovered them in the Brazil’s Cerrado Plateau while tracking down the white lipped peccaries in 2009. They were working with Instituto do Sol, a local partner NGO. The drawings of the armadillos, reptiles, birds and geometric figures were carved thousands of years ago into sandstone formations. 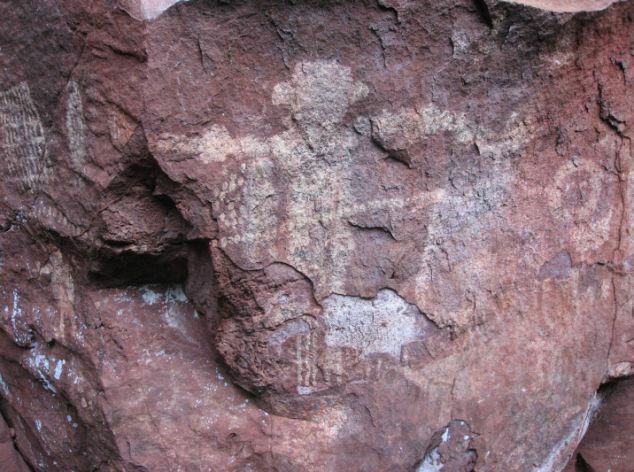 They are now a great contribution to knowledge on rock art found in the Cerrado plateau region which borders the Pantanal. Dr. Alexine Keuroghilan, a researcher with the Wildlife conservation Society (WCS) in Brazil, claimed that their work focuses on protecting wildlife species and their habitats by promoting practices that help sustain land use. Working in remote locations like they do, leads to surprising discoveries and in this case, this one would help them understand the region’s human cultural history. 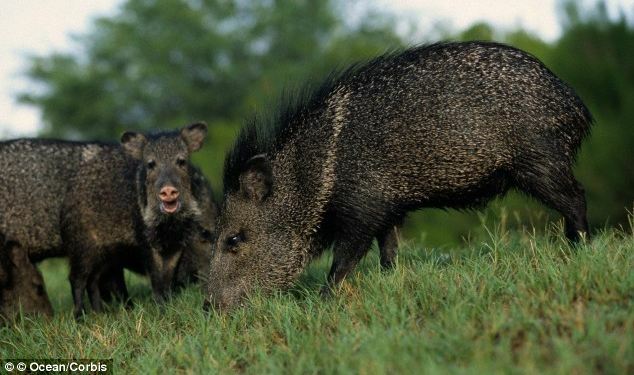 The peccaries are pig like animals that travel long distances in herds and environmentally indicate healthy forests. They are vulnerable to activities such as hunting and deforestation by humans and are currently disappearing from their former range of large swaths from the Southern parts of Mexico to northern Argentina. The team followed radio collared signals from the white lipped peccaries and their herd trails. This led them to the sandstone formations with caves that contained the geometric figures and cave drawings. A cave drawing regional specialist, Aquiar, was contacted to determine the age of the drawings. 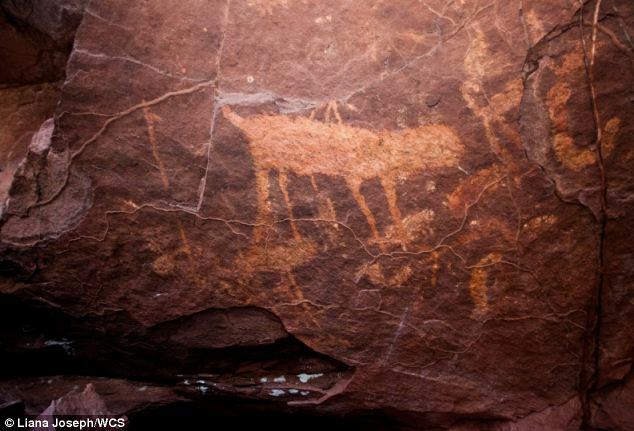 He determined that the drawings were made between 4,000-10,000 years ago by societies that were hunters and gatherers. They either used the caves for artistic activities specifically or occupied them. Some drawing styles were consistent with a tradition referred to by archeologists as Planato that’s from the central Brazillian plateau while others were similar to the stylistic drawings of Northeastern Brazil Nordeste or Agreste that is the transition from forest to arid-land in NE Brazil. The illustration however did not have the peccaries that were the subject of the research by the WCS. Aquiar hopes to fully interpret the drawings by conducting excavations on the cave floors and site geological dating. The director of WCS in Latin America and the Caribbean Program, Dr. Julie Kunen, who is also a Mayan archeological expert, hopes to partner with the locals so as protect the cave sites and the surrounding forests. 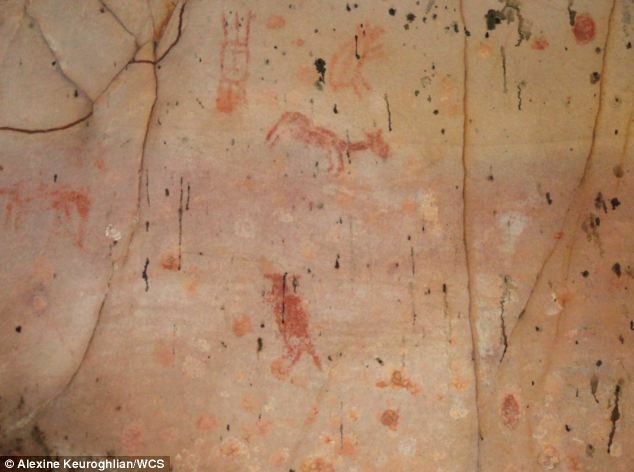 The cave drawings emphasize a need to protect the Pantanal and Cerrado ecosystems for both their natural and cultural heritage. By partnering, they will help preserve the wildlife and cultural heritage in the drawings for future generations.